Gain a competitive edge by learning what's missing in athletic training programs and why even professional athletes suffer from joint pain and repetitive stress injuries. Restore shoulder and hip stability, release neck and low back tension, and improve your athletic performance. Add simple and effective 10-minute pre-training and recovery sequences and 20-minute training-day sequences, and create your own "pre-hab" MELT map so you can avoid rehabilitation with self-care! 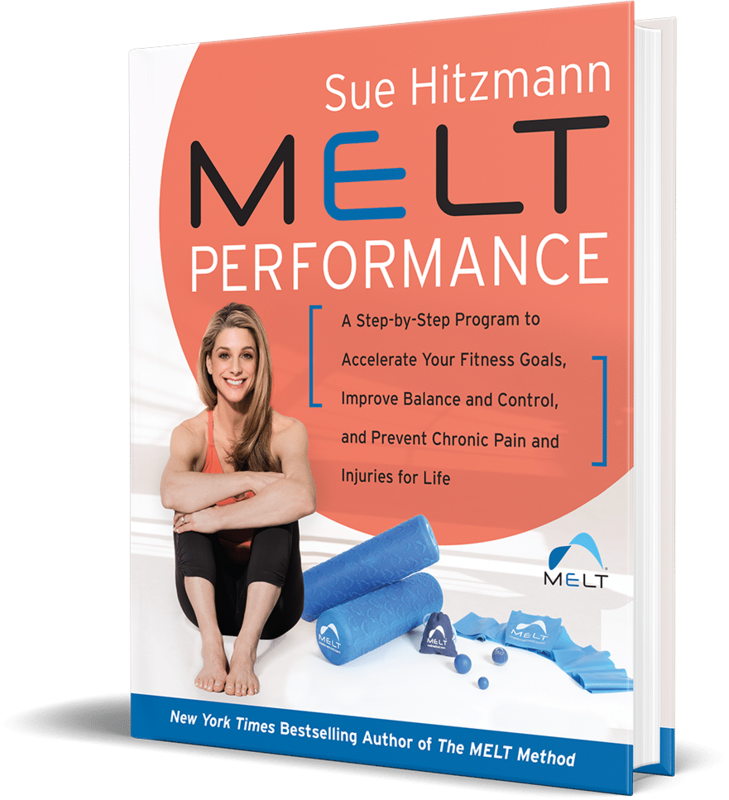 In this long-awaited follow-up to The MELT Method, Sue Hitzmann introduces the first and only proactive training approach that's ideal for athletes, fitness enthusiasts, and anyone looking to improve overall balance, performance, and control while being protected from injury and free from chronic pain. "I’ve had profound results using the MELT Performance program. After dealing with multiple injuries, surgeries and struggling with hypermobility, the MELT Performance exercises have rewired the way my muscles fire and I feel so much more stable. I’m not worried about getting injured anymore and I’m now able to dance, play sports and I’ve even gone back to skiing, which I had only dreamed I’d be able to do again."